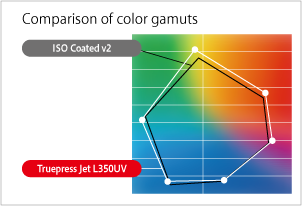 Truepress Jet L350UV | SCREEN Graphic Solutions Co., Ltd. High-speed printing of up to 50 meters (16.1 square meters) per minuteScreen’s proprietary grayscale printheads deliver around 80 million droplets per second, allowing high-speed printing of up to 50 meters (164 feet)* every minute. This enables throughput of 16.1 square meters (173.3 square feet) per minute for 350-millimeter-wide paper, making the Truepress Jet L350UV one of the world' s leading systems for inkjet printing of labels. 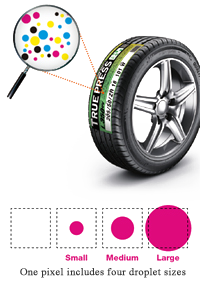 Color reproduction beyond CMYK with Truepress inksScreen’s proprietary UV Truepress inks provide coverage of a much wider gamut than previous process color inks. 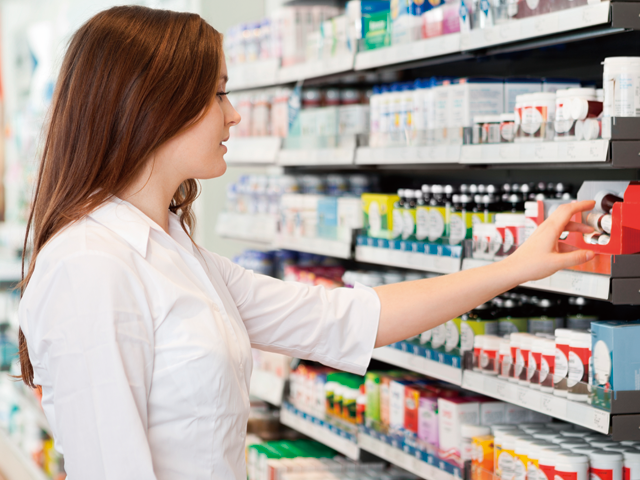 This enables a natural finish and higher level of quality even for label designs with subtle color differences. Truepress inks are also low odor and create little buildup, making them ideal for post-processing such as varnishing and laminating. Using white ink while printing onto colored media, including tranparent items, creates a high-quality finish. 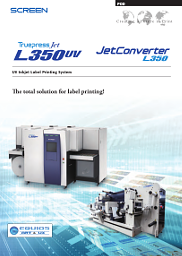 Straightforward operation and maintenanceWith the Truepress Jet L350UV, all output-related processing can be performed from the front touch panel. This ensures any operator can easily achieve excellent print quality. Daily cleaning of printheads can also be performed at the touch of a single button. This and other simple maintenance procedures ensure the system is always in top condition, significantly increasing operational efficiency. Smooth and natural gradations from highlights to shadowsThe adoption of grayscale printheads allows droplets to be printed in four steps. This provides much smoother reproduction of halftone images, enabling smooth color reproduction from highlights to shadows with minimal graininess.